The festival is pleased to announce the 2018 DOC NYC Short List: Features, the seventh annual selection of the year’s top 15 award contenders for feature documentary. The list is considered influential for its steady track record of anticipating Academy Award nominees and winners. The DOC NYC Short List for documentary features officially started in 2012 with 10 titles and grew to 15 titles in 2014. It has a history of being a predictor of other awards, from critics’ prizes and top ten lists to the Oscars. 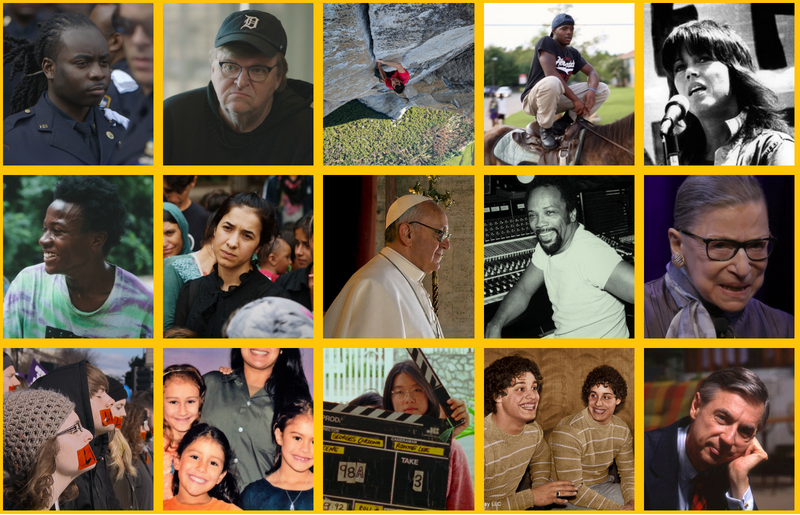 For each of the past five years, the DOC NYC Short List has had nine to ten titles overlapping the subsequent Academy Award Documentary Short List, and four to five titles that were Oscar nominated. For the last seven years, DOC NYC screened the documentary that went on to win the Academy Award, a streak dating before the Short List began. The list is selected by the festival’s leadership team, led by Artistic Director Thom Powers. All of the DOC NYC Short List titles will be shown during the festival with the director or other special guests present for their primary screening. Additionally, most of the Short List directors or other collaborators will participate in the DOC NYC Short List Day of conversations on Friday, November 9, followed by a Happy Hour. The panels “Getting Personal,” “Breaking Boundaries,” and “Getting Political” are co-presented by MTV. The panel “Portraits” and the Happy Hour are co-presented by Focus Features. Admission to events in the Short List Day is available with an All Access Pass or DOC NYC PRO Gold or Silver Pass. Admission to all Short List screenings is included with All Access Passes; individual screening tickets for Short List titles go on sale in early October. Notable this year: Seven of the Short List feature selections are directed or co-directed by women, marking a new high. This year’s list is also the most racially diverse. Returning veterans of the DOC NYC Short List include Morgan Neville, who appeared twice before for 20 Feet From Stardom and Best of Enemies. Three other directors have appeared once before: Alan Hicks (Keep on Keepin’ On), Michael Moore (Where to Invade Next), and Wim Wenders (The Salt of the Earth).